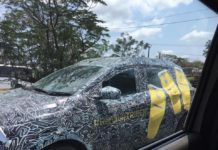 The Renault Triber is going to launch in India sometime during the festive season this year. 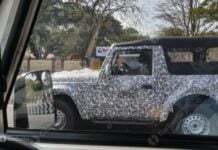 It will sit below the Duster in the carmaker's line-up. 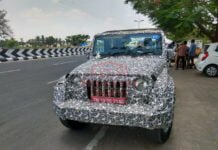 The latest set of leaked spy images give us a detailed insight into the design layout of the cabin of the next-generation Mahindra Thar. 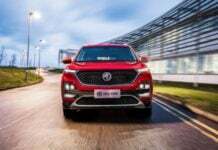 The MG eZS will be the second product by the British carmaker in India after the debut of the Hector SUV. Prices likely to start from INR 15 lakh. 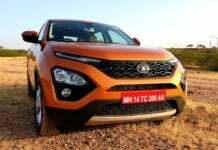 Within a few months of its launch, the Tata Harrier has become the segment leader by zooming past Mahindra XUV500 and Jeep Compass in March 2019. 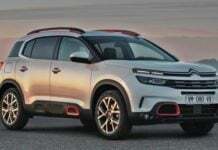 Citroen C5 Aircross will be PSA group's first car for the Indian market and is going to make its official debut sometime during the year 2020. 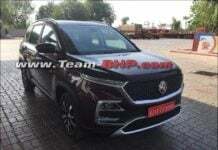 The MG Hector SUV is going to launch in India within the next couple of months. 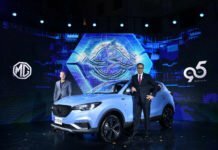 It is going to offer a number of advanced connectivity options. 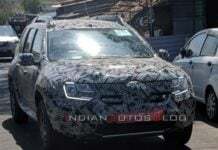 This new Renault Duster is not a generation update but a just a facelift of the existing iteration consisting of updates in sync with the new safety norms. 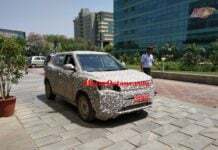 The all-electric version of the Mahindra XUV300 is expected to launch in India next year. It is speculated to offer a driving range of 350-400 km.